Offering free WiFi and a garden, The Langdon House is set in Westerhall, St Davids. Free private parking is available on site. The accommodations features a seating and dining area. 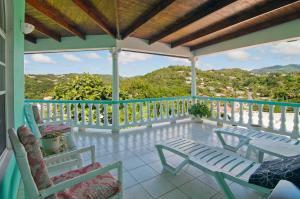 Some units include a terrace and/or balcony with sea views. All apartments come with air-conditioning. There is also a kitchen, equipped with an oven. A microwave and kettle are also featured. Towels are provided. The Langdon House also includes a sun terrace. Point Salines Airport is 6.2 mi from the property. When would you like to stay at The Langdon House? 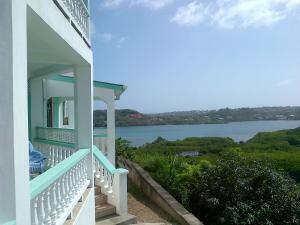 One bedroom apartment with Air-conditioning and large patio with seating area overlooking Westerhall Bay. 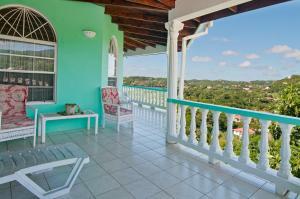 Two bedroom apartment with Air-conditioning and private balcony with views of Westerhall Bay. 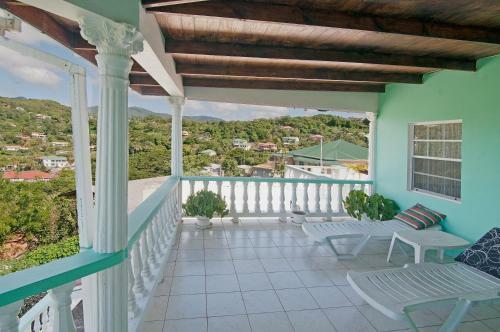 Three bedroom apartment with Air-conditioning and terrace with views of Westerhall Bay. 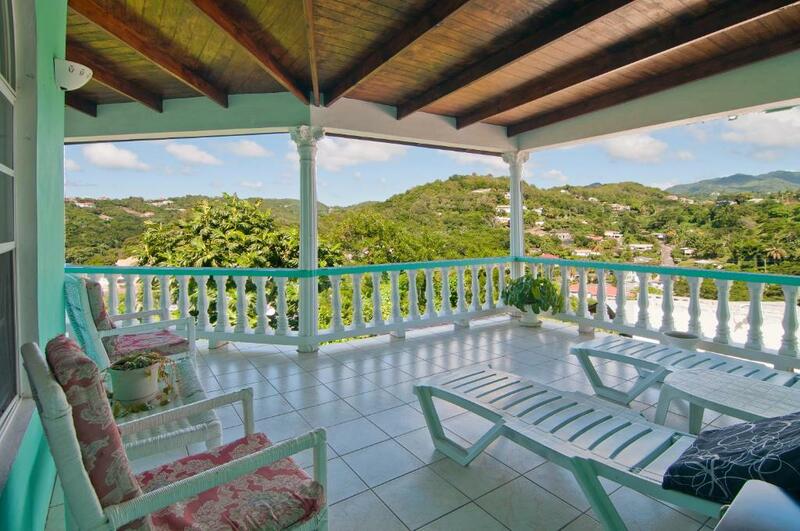 The property was built 15 years ago by my mum who was born in Grenada who spent 40 years in the UK before returning back to Grenada. There are 3 private self-catering apartments available, all with fully equipment kitchens and lounge areas, all with fantastic views of Westerhall Bay. 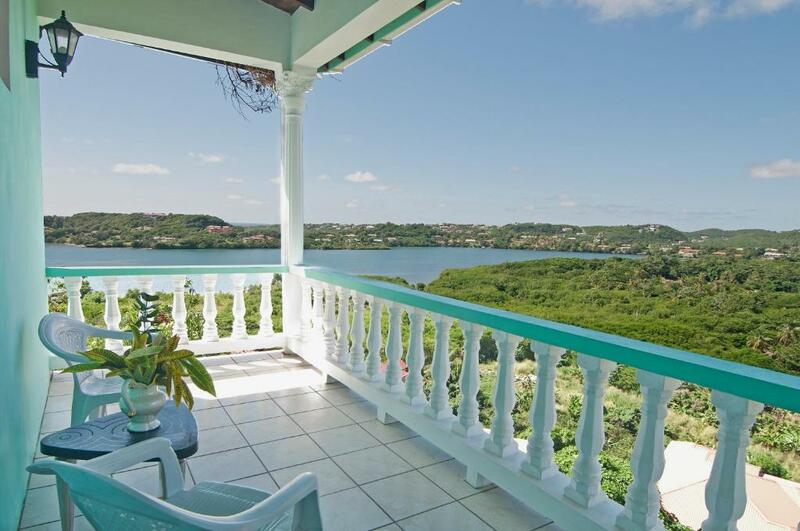 Apartments: Studio, 2 bedroom and 3 bedrooms (contact us for more info) This is her dream, to have a fabulous property overlooking the sea generating an income for her retirement, its hard work but she enjoys Grenada so every day is a blessing. You won't be disappointed with the views from the apartments, even the local Grenada's say the view from the property is amazing. The property is located on the Eastern side of the Island close to Westerhall Bay, in a very quiet location on the hills, people are approachable and friendly. We have a local supermarket, bakery, MoneyGram and public transport all just 5 mins from the apartment. We are conveniently located next door to a car rental service we partner with them to provide you with Tours, Car rentals and Airport pickup. If you would like someone to meet you at the Airport please let us know in advance so we can make the necessary arrangements. House Rules The Langdon House takes special requests – add in the next step! The property requests a deposit payment of the first night stay to secure your booking dates, fully refundable up to 6-weeks prior to arrival, nonrefundable thereafter. If a deposit is not received within 48hrs the property will request for cancelation. Please note WiFi is freely available at the property, but is subject to signal strength and can be area specific. Please inform The Langdon House of your expected arrival time in advance. You can use the Special Requests box when booking, or contact the property directly using the contact details in your confirmation. Locally there is a supermarket but few other facilities. Without a car, if taxis are to be avoided, travel is only realistic up to approx 6PM Mon to Sat. Buses are frequent so provided you organise your time getting around is easy. The apartment has a lovely view over the inlet. It is quiet and comfortably furnished and the stay is made more pleasant by the friendlynness and hospitality of the owner. Shower only cold or much too hot. Pots and dishes not clean. Very kind host. Great view from the balcony. Good bakery and grocery near by. Property was misrepresented very basic and in great need of modernisation. Kitchen utensils and dishes were dirty. Beds in one room we’re uncomfortable. Location was beautiful but too far from where we wanted to go. BeAutiful view. Lots of room. Very nice host. Most fantastic host treating you as part of the family. Complete home from home. 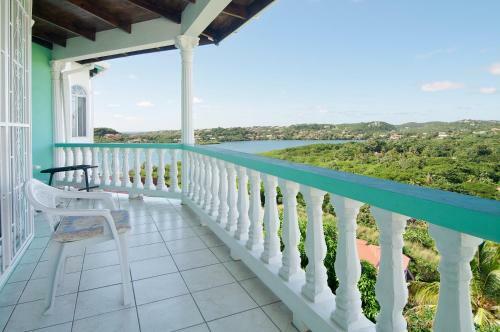 Amazing far reaching sea views.